During lunch today I walked around Media taking photos of the snow. 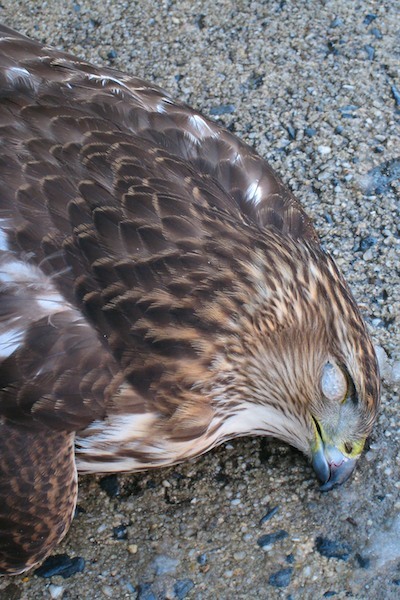 On my way back to the office, I saw this dead hawk on the sidewalk in front of an office building. My guess is that it flew into a window.